Advantech’s Ubiquitous Touch Computers (UTC) offer several solutions for digital media signage, self-service kiosk and interactive interfaces. 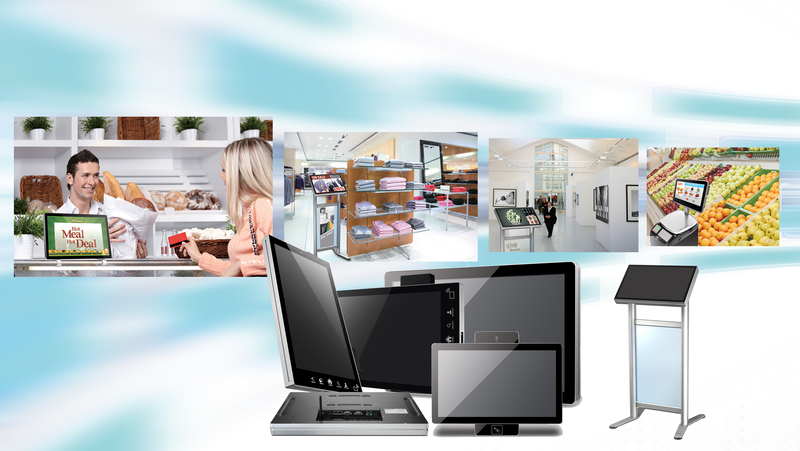 These products feature all-in-one computers with wide format and multi-touch TFT LCD panels. UTC ensures successful delivery of dynamic content. With scalability, key peripherals are available, such as NFC, RFID, barcode, smart card reader, and a camera module. Advantech UTC series help display a diverse range of apps, like self-service kiosk, digital media signage, and promotional applications. Remote control and cloud computing of panel kiosks are critical for remote network interactions. The industrial reliability of the fanless UTC with wall mount or stand, also creates a solid base for an all-in-one computer kiosk and interactive interface for users.